Create your ultimate relaxation haven with the Jameson Three Piece Sectional. This large-scale essential is sure to be a stunner in your home, featuring a natural suede leather look, reversible seat and back cushions, and comfort grid seat cushions that maximize comfort durability while taking sinking into comfort to a whole new level. 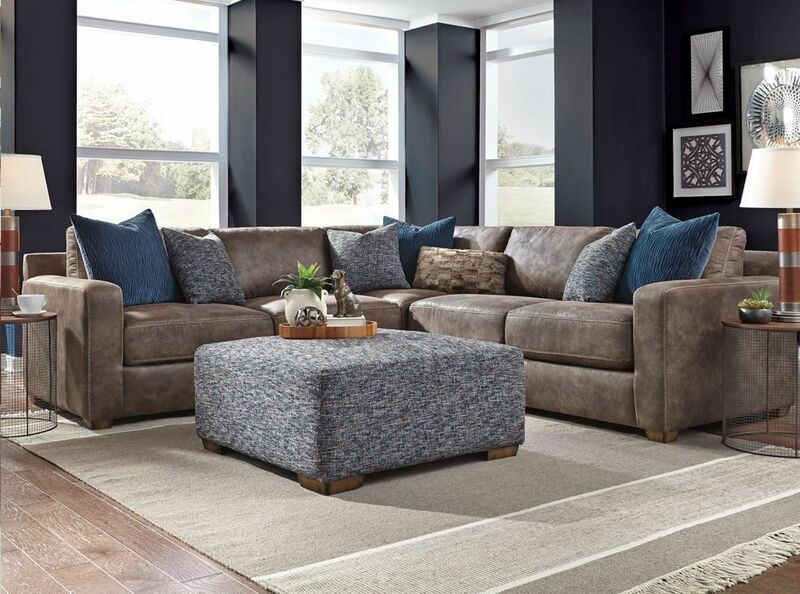 With whip accent stitching and accommodating accent pillows in shades of blueberry, grays, browns, and faux fur, this contemporary beaut has all the right details in all the right places. Create the ultimate comfort experience with the Jameson Three Piece Sectional.